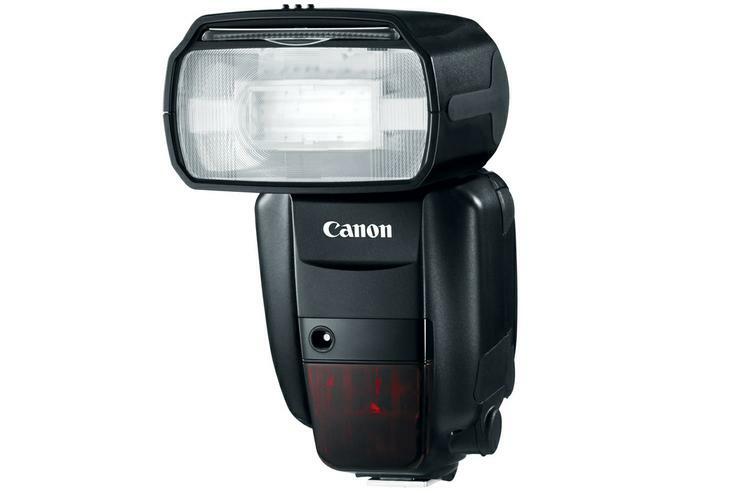 Use a camera flash like this Canon Speedlite 600EX-RT to light up your photos. Cameras are like sunflowers: They thrive on light. And when there isn't enough light to go around, you need to add some of your own — that's where your camera's flash comes in. Looking for ways to take better flash photos? You should learn to master your flash's various modes and settings, of course. But it's also important to understand how your flash works — the "physics" of flash photography, as it were. I've rounded up nine ways to improve the often harsh and contrasty photos that happen when your flash fires. No doubt, you've heard it said that you should shoot on overcast days, or wait for the sun to pass behind a cloud. And you know that you can get better results when you bounce your camera flash or use an adapter that diffuses the light. These techniques are all leveraging what you might refer to as the First Law of Lighting: A broad or large light source tends to create a soft, more attractive light on your subject. A narrow light beam, such as from your flash or the sun (which is admittedly much larger than the earth, but narrow from the camera's perspective) is hard light that makes for sharp shadows and high contrast. But if you diffuse that light over a wider area — making it big and broad — you can soften the light and reduce the contrast in a way that's usually more pleasing to the eye. Knowing (and applying) this one fact about light allows you to transform your photos, because now you know that diffusing or broadening narrow light sources will generally de-harshen your photos, ease shadows, and make subjects look more attractive. That might sound obvious, but let me take you back to science class. Thanks to the laws of physics, it turns out that brightness diminishes with the square of the distance. If you position a light 5 feet away from your subject and then you move it to 10 feet, the subject will only receive a quarter of the light that it had at 5 feet. In photography terms, that's a two-stop reduction in exposure. That means you can radically change the light on your subject by moving a table lamp closer or farther from your subject, for instance. If you paid attention to the last tip, you can probably guess where this is going: Your camera's flash has essentially no effect on the background, assuming that the background is a fair distance away from the subject. Suppose that you're taking a photo outdoors. You can move your lighting closer or farther to change the relative exposure of the subject, but the background will expose the same either way as long as you keep everything else the same. That's liberating, because it means you can fiddle with your flash's position and settings without worrying about what's going on behind the subject. It should also go without saying that this also means you'll never illuminate a distant background with your camera flash. You don't drive your car at its maximum speed all the time, and you don't need to fire your camera's flash at its full intensity all the time, either. Of course, your camera tries to expose your photos properly even when the flash fires, but sometimes it just can't get it right — especially when you're shooting a subject that's really close. If you find that your subject is getting consistently overexposed, try reducing the intensity of the flash. Check your camera's user guide: Your camera's settings might allow you to reduce the flash's power. If not, you can try a low-tech solution: Tape a thin layer of tissue over the flash to reduce its intensity. You can avoid shooting in dark situations. You can turn off your flash and rely on ambient light. You can put some distance between the flash and the camera lens. Digital SLR users often rely on that last option, since you can hold an external flash in your hand, mount it on a flash bracket, or even bounce it off a wall or ceiling. Read more about this in "Avoid the Red Eye Effect." Portraits that you take in close quarters can be ruined by the uneven lighting that comes from your flash, and really close-up photos can suffer from terrible overexposure and ugly shadows. There's a solution, though: a different sort of flash known as a ring flash. A ring flash is a gadget that has multiple flash units that wrap around the lens instead of sitting atop your camera and generating a single source of light. They all fire together, generating a ring of light that illuminates your subject from every direction. Serious photographers — with deep pockets — sometimes purchase sophisticated ring flashes for their digital SLRs. Canon photographers, for example, might choose a $500 Macro Ring Lite for close-up photography. Of course, $500 (or more) is a lot of money to spend on a flash that you'll use only occasionally. You can make your own inexpensive ring flash for about $10 worth of household goods — a couple of plastic bowls, glue, tape, and foil. Or you can buy an inexpensive one. Photojojo's Ring Flash Adapter, for example, costs just $40. You might think of your flash just as a replacement for the sun, and therefore you only use it at night or in other dark situations. But the flash is much more than that: You can use it to fill in shadows that would normally occur when shooting outdoors in bright sunlight. To do that, just set your camera's flash to its "Fill" or "Forced Flash" mode, in which it fires all the time, even if there's otherwise sufficient light available. This way, you can fill in shadows and even the contrast in your portrait photos, or, if you're shooting towards the sun, you can prevent your subject from turning into a silhouette, as in this example. One of the limitations of using a camera flash is that it casts a source of light, and that creates the artificial look and contrasty shadows for which flash photos are infamous. One solution to that problem is to use more than one flash — and that's easier than it sounds. Most professional photographers, for example, rely on three-point lighting. A key light illuminates the subject's face, a second light fills in any unwanted shadows, and a backlight adds some light to the surrounding scene. You can easily use three-point lighting by adding one or more slave flashes. A slave flash includes a sensor that lets it fire automatically when it senses your camera's own flash fire. These flashes are inexpensive and work with most digital cameras. They're convenient; you can position a slave flash anywhere you like, such as on a flash bracket, a tripod, or even on a nearby tabletop. Using one or even more extra flashes, you can easily set up your own on-the-fly photo studio.